We’re Hiring Top Interior Design Talent! Join Our Team BECOME PART OF OUR PASSIONATE, DESIGN DRIVEN TEAM WHERE YOU CAN EXPERIENCE THE REWARD OF CREATING A BEAUTIFUL LIFE FOR OUR CLIENTS We’re looking for top interior design talent with varying levels of experience to work on exciting high end residential projects…. What's Lurking in Your Granite Countertop? Don't you want to be the first to hear when Kati updates her shop with one-of-a-kind finds? 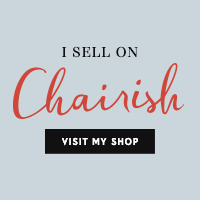 Don’t you want to be the first to hear when Kati updates her shop with one-of-a-kind finds? Please provide the best email for contacting you. Please provide best phone number for contacting you. What is your estimated budget for this project? Please provide an estimated overall budget for the project. Do you have a project deadline? Provide basic outline of your project and what types of service you are looking for.